Selected CV XE GIS project/application views in Georgia. 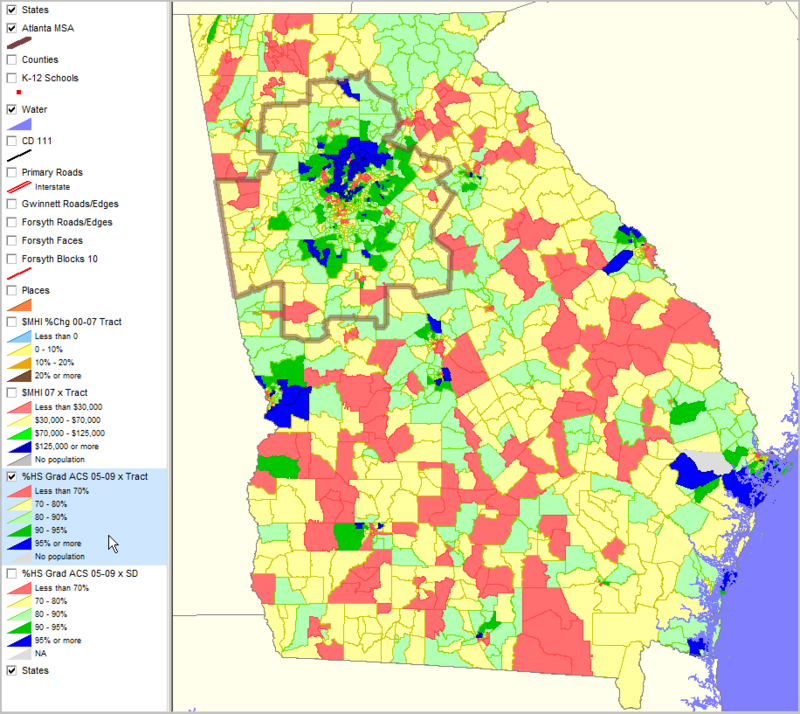 • Georgia by school district http://proximityone.com/sd_ga.htm. • Georgia by census tract http://proximityone.com/ustr0509_ga.htm. See related ranking table http://proximityone.com/sd_ga.htm. Labels show percent high school graduate. Percent high school graduate (population 25 years and over) by census tract. See related ranking table http://proximityone.com/ustr0509_ga.htm.